Whoever said that geeks spend all their time glued to PC and TV screens was mistaken because a geek loves an All-American road trip just as much as anyone else does. In fact, road trips are so popular in the USA that they represented as many as 22% of all vacations undertaken during 2015. While family units generally seek out wholesome destinations, a group of self-proclaimed nerds may be looking for something with a bit more bite. Luckily there are a number of attractions scattered across the country that will definitely pique their interest. Apart from the obvious places of interest such as Comic Con, the Kennedy Space Centre and the Museum of Science and Industry in Chicago, there are also a number somewhat quirkier attractions that can be considered such as a collection of Star Wars memorabilia and a graveyard for ice cream. 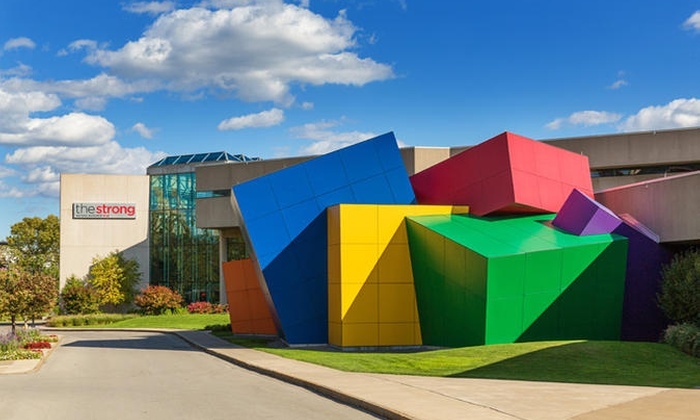 No nerdy road trip will be complete without a visit to the National Museum of Play that is situated in Rochester, New York. The museum is an absolute haven for geeks of all ages and is home to an astonishing number of toys and game related exhibits such as the Strong’s National Toy Hall of Fame, Pinball Playfields, Academy of Interactive Arts & Sciences and American Comic Book Heroes: The Battle of Good VS Evil. If you are a full-blown gaming geek you may be interested to know that The Strong’s offers a research fellowship to advanced graduate students in the field. The Museum of Play is open 7 days a week but be sure to arrive early as there is just too much to try and squeeze into a shorter visit. The force will undoubtedly be with you when you visit the world’s biggest privately-owned collection of Star Wars memorabilia in Sonoma County, California. When you enter the museum you will find it hard to believe that it was once home to more than 20,000 chickens during Petaluma’s egg-producing heydays. Rancho Obi-Wan was established in 1998 when owner Steve Sansweet relocated from LA to become the Director of Content Management and head of fan relations at Lucasfilm. Apart from being a dream-come-true for every true lightsaber-bearing Star Wars fan, the ranch is also registered as a California Nonprofit Public Benefit Corporation with the specific purpose of serving the public through its geeky collection. Everybody loves Ben & Jerry’s ice cream, including nerds which is why a trip to the Ben & Jerry’s Flavor Graveyard at their factory in Waterbury Vermont is an absolute must. B&Js boasted countless flavors that were simply not as popular as they wanted them to be. The graveyard, which was opened in 1997 features actual resin headstones with funny captions about the ‘lives’ of each flavor. Some of the ‘deceased’ flavors include Schweddy Balls (vanilla ice cream with a subtle hint of rum & loaded with fudge-covered rum & malt balls), Turtle Soup (vanilla ice cream with delicious fudge-covered caramel cashews & a soft caramel swirl) and Cow Power (sweet cream ice cream with chocolate cookie pieces, dark chocolate cows & a chocolate fudge swirl). A visit to the Ben and Jerry’s is well worth the drive to Vermont as you can go on a tour of the factory and indulge in delicious ice cream while you are there. Just make sure you’re driving a reliable car as you can’t afford a breakdown with a valuable stash of ice cream in the trunk. The above attractions are just three of many that can be included on a great, nerdy road trip. While visiting exciting and interesting places contribute significantly to the overall appeal of a road trip, your road-tripping crew is of even greater importance. As long as you have a safe and reliable method of transport and good company to share the experience with, any road trip, however long or short, is bound to be a memorable one.